Ikigai (pronounced Eekeeguy) in Japanese, means “Reason to live”/ “the Realization of what one hopes for”. According to the Japanese, everybody has an Ikigai. Finding it requires a deep and often lengthy search of self-discovery and reﬂection. Some of us are born knowing it, for others, the process can take a lifetime. 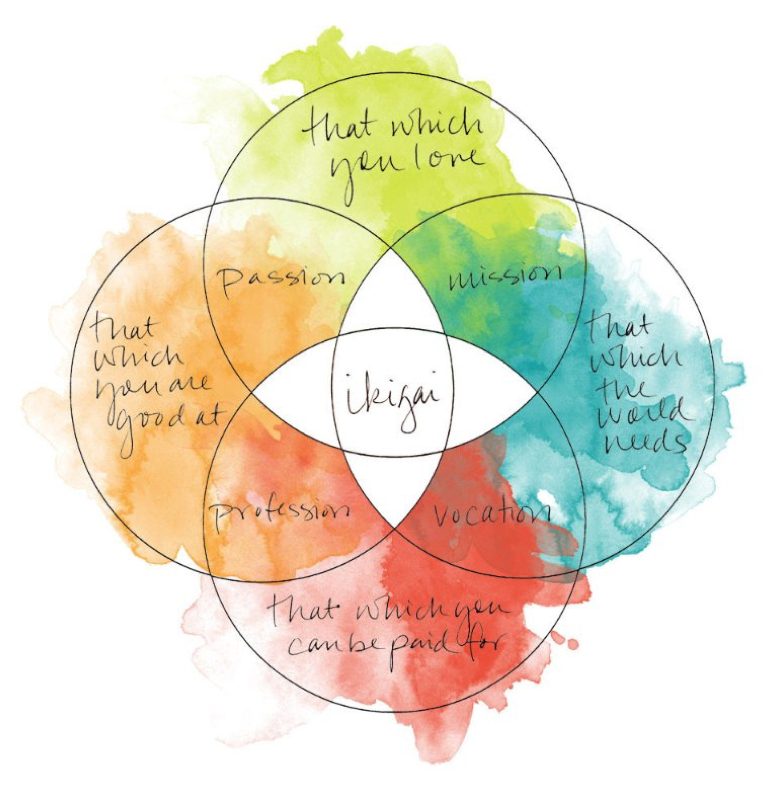 We guide you to ask the vital questions that will help you establish your Ikigai, your purpose. Deciphering our desires, rediscovering our innate talents & quelling our fears allows us to arrive at the meeting place of who we are and what we are destined to do. It is our unique calling that will fll the void in our soul and allow us to live joyful, enriched and authentic lives. It is through our purpose that we will leave our mark and legacy. The Ikigai Retreat requires a previous interest in introspection and reﬂection. We recommend first doing the I AM Retreat but please feel free to discuss with us.